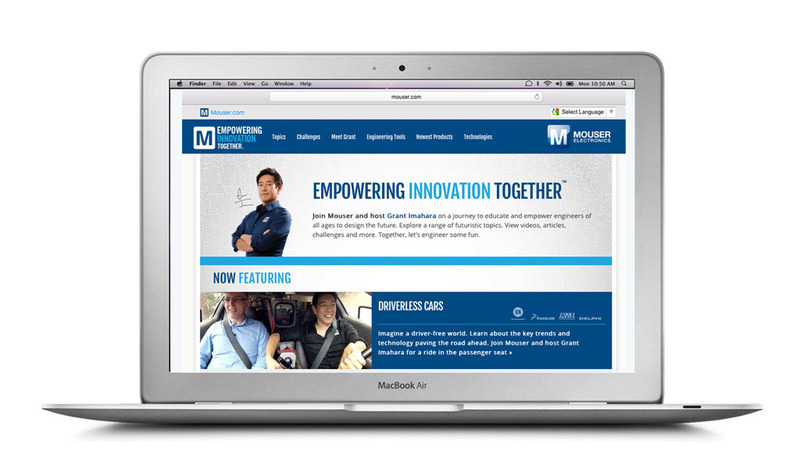 Empowering Innovation with Grant Imahara - Schaefer Advertising Co. 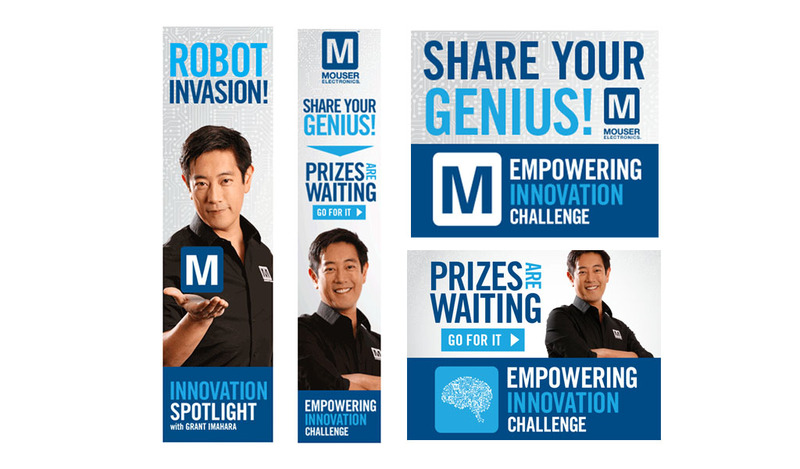 When Mouser, one of the leading providers of electronic components, wanted to refresh their company icon, we started the way we normally do – by taking a step back. 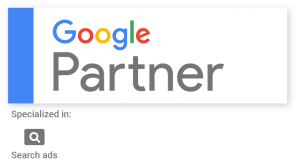 What they were looking for was a fresh, attention grabbing way to reflect their brand. With this goal in mind, we got to thinkin’. While we had a ton of ideas, we quickly found that they all seemed to fit in three buckets: icons, fictional characters and spokesmen. 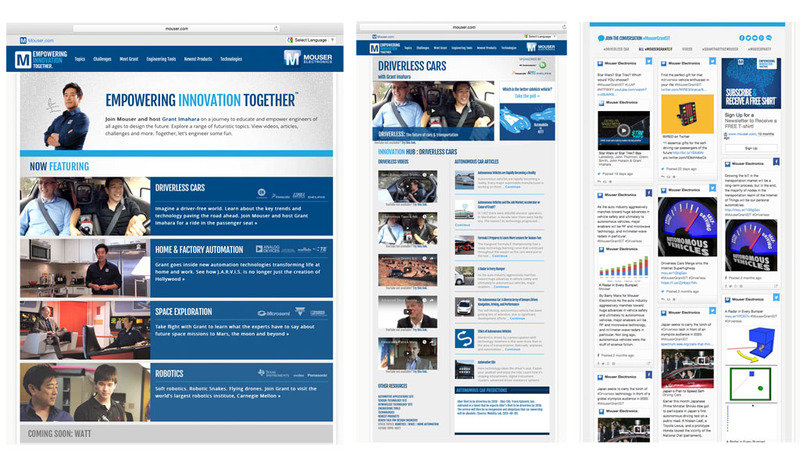 What we liked most about introducing a nonfictional spokesman was the idea that he or she would have the technical expertise to relate to the target audience on their level along with a curiosity for what engineers were building with Mouser components. After all, contained within Mouser’s warehouses are the parts needed to build the next great technological breakthrough. Some assembly required. 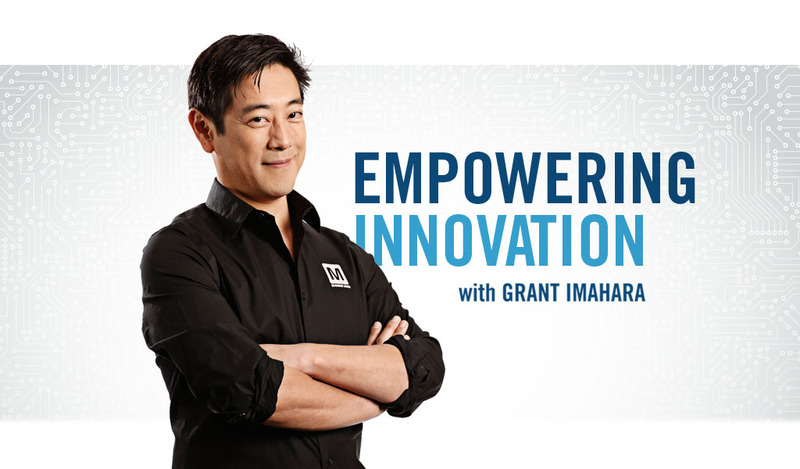 One person who perfectly embodies the expert host persona is Grant Imahara. Best known for his role on the TV show Mythbusters, Grant is an electronics expert with a long and impressive resume, working on projects ranging from battle bots to R2-D2. When we approached him about becoming a spokesman for Mouser, it was no surprise that he was already familiar with them – he’d been ordering components from Mouser for years. Turns out, Mouser was just as big a fan of Grant’s as he was of them, and they immediately jumped on the idea. Now, Grant and Mouser are empowering innovation with the very latest in electronic components. Along with that, Grant is looking far and wide to find out what great, new innovations are happening in the engineering world. The best of times during the worst of times.